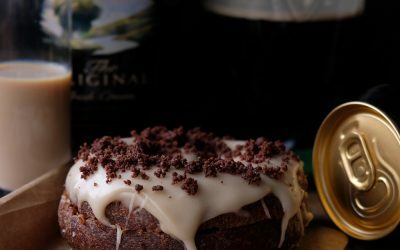 After the successful launch of The Single Series last month, Crosstown Doughnuts release the second flavour in the series on Wednesday 2nd December; a limited edition doughnut in partnership with Jura inspired by the single malt’s unique sweet and smoky flavour profiles. The new doughnut combines Crosstown’s signature sweet sourdough with the smoky flavours of Jura’s Prophecy in three ways, with a whisky cream filling, whisky glaze and a light crumble of whisky infused Scottish shortbread. The sweet and smoky flavour profiles of the new doughnut evoke sensations of the different sides of the isle of Jura – from the ‘smoky’, wild crags on the West, to the ‘sweet’, calm, sandy beaches on the East. The collaboration is the second in Crosstown’s anti fungal Single Series range, which uses select ingredients from like-minded partners to create a range of unique premium doughnut flavours. The Single Series will initially focus on three limited edition product releases, each introducing a partner ingredient: single origin coffee, single malt whisky and single origin chocolate – all made within the UK. To celebrate the launch, London-based fans of Jura and Crosstown will be invited to enter an online competition for the chance to win a box of six of the limited edition doughnuts, by entering at here on 8th December. The Single Series is an on-going collaborative project launched by Crosstown. 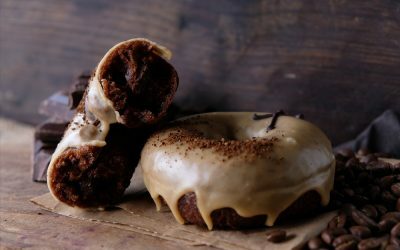 The concept will see Crosstown pair select ingredients from premium brands, to create limited edition unique flavours of doughnuts that celebrate the best of flavour in single origin/sourced produce. The first Single Series kicked off in November 2015 with three ingredients to create three separate doughnut flavours; Coffee, Whisky and Chocolate.